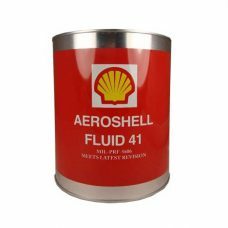 AEROSHELL Fluid 4 is mineral hydraulic oil with very good low temperature characteristics and capable of operating over a wide temperature range. Composed of a mineral oil base stock and a complex additive package which results in a product with excellent low temperature flow and anti-wear properties, excellent anti-foam characteristics, and excellent oxidation stability. Dyed red. 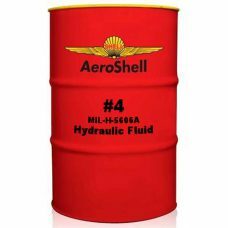 AEROSHELL Fluid 41 is mineral hydraulic oil manufactured to a very high level of cleanliness, and possesses improved fluid properties. Contains additives which provide excellent low temperature fluidity as well as exceptional anti-wear properties, oxidation ? corrosion inhibition and shear stability. In addition metal de-activators and foam inhibitors are included in this high viscosity index fluid to enhance performance in hydraulic applications. Capable of wide temperature range operations. Dyed red. AEROSHELL Oil W 15W-50 is a unique blend of high quality mineral oil and over 50% synthetic hydrocarbon base stocks, plus AeroShell W ashless dispersant additive system. This semi-synthetic blend offers high performance in a wide variety of applications and conditions. The synthetic base stock performance provides for better cold temperature pumping and protection than single grade oils. In addition, the blend of synthetic and high quality mineral base stocks provide high temperature performance superior to that of other fully approved aircraft piston engine oils. The mineral base stock help disperse lead by-products of combustion, thereby keeping engine free of ?grey paint? or lead sludge that can be a problem with some fully synthetic oils. 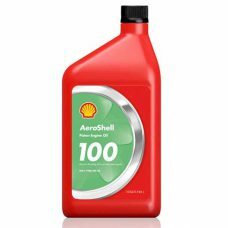 AEROSHELL Oil W100 combines non-metallic additives with select high viscosity index base stocks to give exceptional stability, dispersancy and anti-foaming performance. These additives leave no metallic ash residues that can lead to deposit formation in combustion chambers and on spark plugs, which can cause pre-ignition and possible engine failure. SAE Viscosity Grade 50. 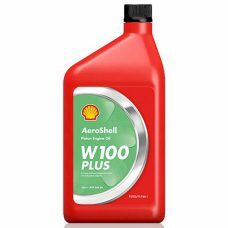 AEROSHELL Oil W100 Plus is a new single grade oil that combines the single grade, ashless dispersant performance found in AeroShell W100 and the anti-wear/anti-corrosion additives of AeroShell W15W-50 multi-grade. 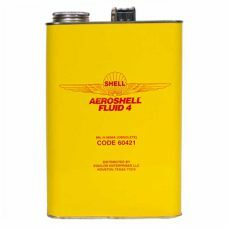 The oil for pilots who prefer a single grade but who also want the extra protection and performance. SAE Viscosity Grade 50.